Hammam towel Grey | Luxury Peshs. hammam towel made ​​of highly absorbent cotton. Hammam towels are lightweight and ideal as bath towel and beach towel. 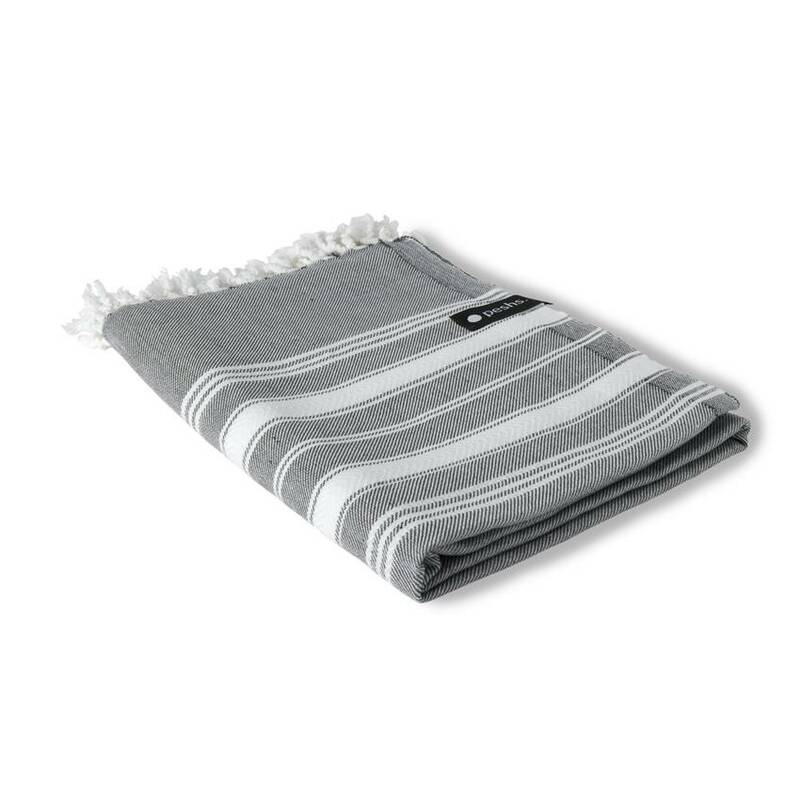 This luxurious Turkish hammam towel in the color gray (with white stripes) of the Dutch brand Peshs. is made of highly absorbent hydrophilic cotton so these hammam towels absorb moisture very well. The lightweight fabric make them an ideal replacement for bath towel or beach towel because they can be very compact when folded. Ideal for travel, fits in any case!